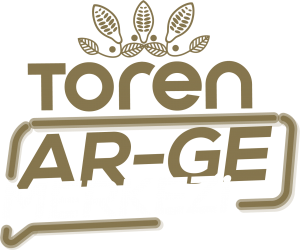 “Tören Chocolate Disclosure Policy ” has been designed provide timely, accurate, complete, understandable and equal information to the public regarding the activities of Tören Chocolate. Our Company is not subject to the Capital Markets legislations and the regulations of the Capital Markets Board (CMB) in the field of public disclosure, however it tries to apply the CMB Corporate Governance Principles in the company. The Disclosure Policy is prepared by the board of directors and is declared to the public. The Board of Directors is responsible for monitoring, reviewing and improving the Disclosure Policy. The Corporate Governance Committee informs the Board of Directors, the Executive Board and the General Manager of the ” Disclosure Policy”. The Disclosure policy is carried out by the following ways. Persons who are acting on behalf of the company and authorized to make managerial decisions affecting the company’s development and commercial activities, and Members of the Board of Directors, Members of the Executive Commity and other executives and experts working for the financial affairs department, who have detailed information on this issue are deemed within the scope of staff who have access to internal information. Administrators and other personnel who have limited knowledge about the Company’s business and whose overall information is limited due to their work are not considered within the scope of the staff who have access to the internal information. The Board of Directors reports on future prospects in the annual reports. Additional comments are made in the interim activity report when there are new developments occured during the year after an assesment. When there are significant developments in this issue, special case disclosure is made.